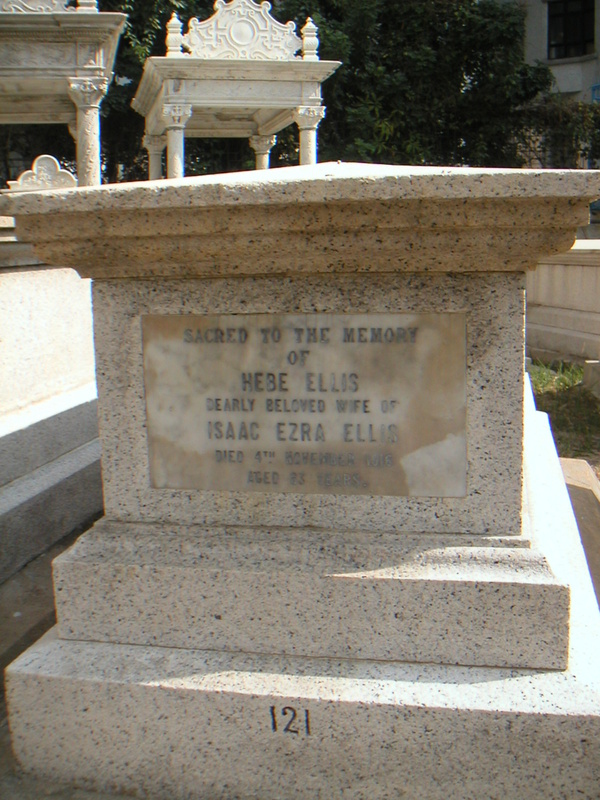 Inscription (Eng) SACRED TO THE MEMORY OF HEBE ELLIS DEARLY BELOVED WIFE OF ISAAC EZRA ELLIS DIED 4TH. NOVEMBER 1916 AGED 83 YEARS. Historical Married Isaac in 1848.